At Rosebourne, we have everything you need to care for your plants and keep your garden looking lush and healthy. 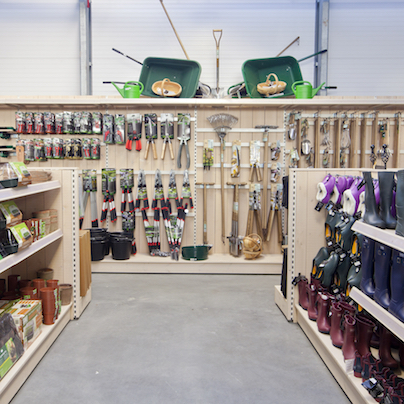 Rosebourne carries a wide range of gardening tools, equipment and accessories as well as all the essential feeds, composts and bug killers that the everyday gardener needs. From everyday tools for the aspiring gardener, to specialist items for the more well-practiced, Rosebourne will be able to help. Alongside our plant selection we have a huge range of Garden Care Products offering competitive pricing and offers across all the leading brands including Levington, Vitax and Johnson. You will find everything you require to treat any pest and disease problem from chemical treatments to fully organic options; we cater for all gardening styles. From traditional granulated fertilisers like Bonemeal, Growmore, and Blood Fish and Bone Meal to soluble Phostrogen and Miracle-Gro we carry everything not just to maintain your plants but to help them grow to their very best.